All customers traveling to the Rose Parade should view this page for more information as there are multiple stations along the parade route. From East LA-Atlantic or Downtown LA-Union Station, board the Gold Line towards Pasadena-Sierra Madre Villa, then exit at any of the following stations which are within short walking distance of the parade route: Del Mar, Memorial Park, Lake, and Allen Stations. From Sierra Madre Villa, customers should board any train, then exit at any of the following stations which are within short walking distance of the parade route: Del Mar, Memorial Park, Lake, and Allen Stations. Customers are encouraged to load roundtrip fare in advance ($3.50 roundtrip + $1 reusable TAP card per person) or buy an unlimited $7 Day Pass before beginning their trip to avoid long return lines to purchase fare. Enhanced Gold Line service will run at 3-car/full platform trains every 9 min to all stations. Use entire boarding platform when boarding. Numerous Metro bus lines along the Rose Parade route will be detoured or split into two segments at Colorado Blvd. until streets are reopened. Use Metro Rail to avoid disruption. All customers traveling to the Rose Bowl Game should exit the Gold Line train at Memorial Park. From East LA-Atlantic or Downtown LA-Union Station, board the Gold Line towards Pasadena-Sierra Madre Villa, then exit at Memorial Park. From Sierra Madre Villa, customers should board any train, then exit at Memorial Park. After exiting at Memorial Park, walk 3 blocks west on Holly St (turn right upon exiting station), past Fair Oaks Av, to the FREE Rose Bowl Shuttle. Shuttle pick-up location is at the west end of Parsons parking lot and will pick up passengers on Pasadena Av at Holly St.
Shuttles run continuously from 10am until 2 hours after the end of the game. This shuttle is NOT operated by Metro. Shuttle info is provided as a courtesy and subject to change. 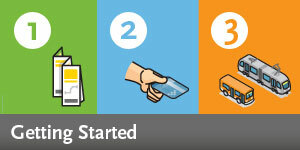 One way trip is $1.75 (includes 2 hours of transfers) and each customer must load onto a reusable TAP card ($1). Avoid long return lines at TAP Vending Machines, customers should load roundtrip fare in advance or purchase an unlimited $7 Day Pass, good until 3am the following morning. TAP cards must be tapped on validators or faregates before boarding each line, including at transfer stations. On New Year's Day, Metro staff will be available at key stations to assist customers with their fare. Please click here for more information on Metro's schedule between December 31 and January 1, including OVERNIGHT 24-hour rail service from December 31 into January 1. Metro wishes a safe and Happy Holidays.